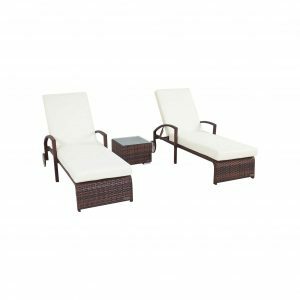 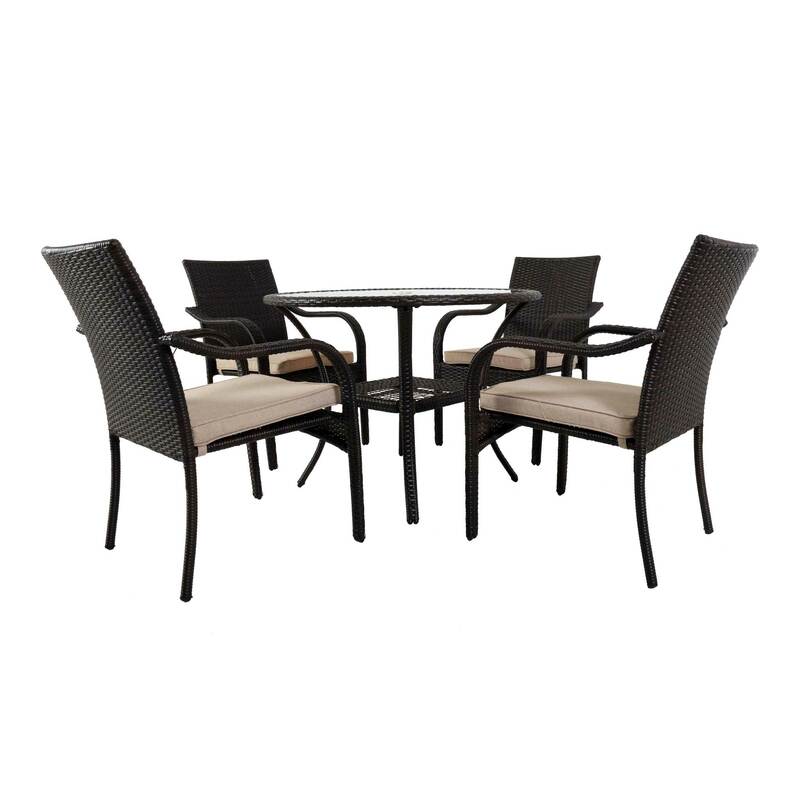 If you are looking for a dining set to enjoy your meal outdoors, then this san Pico dining set comes with all luxuries and comforts you need. 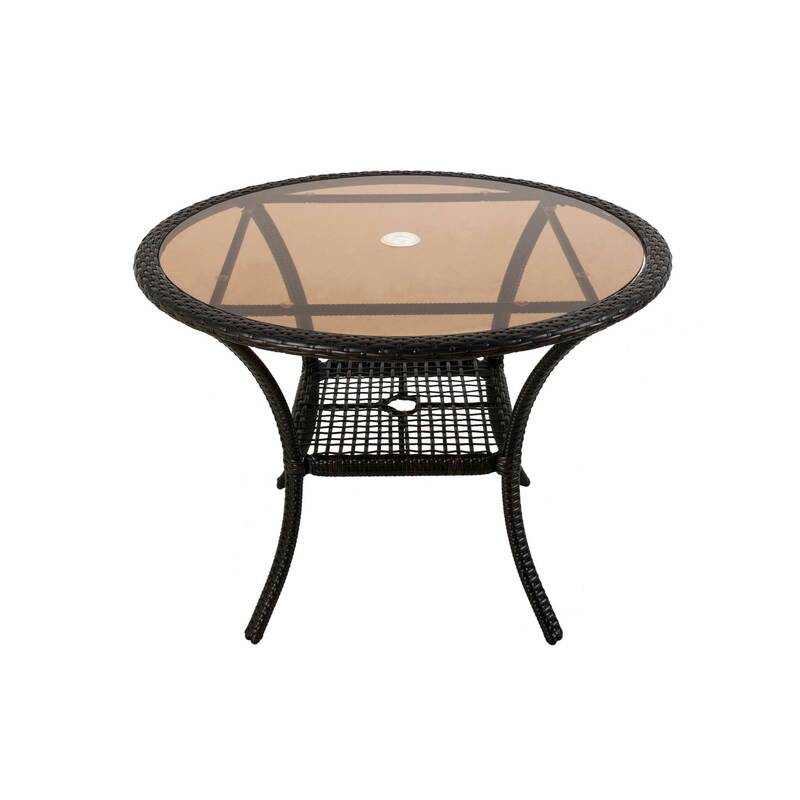 It will make you feel relax and make meal experience pleasurable. 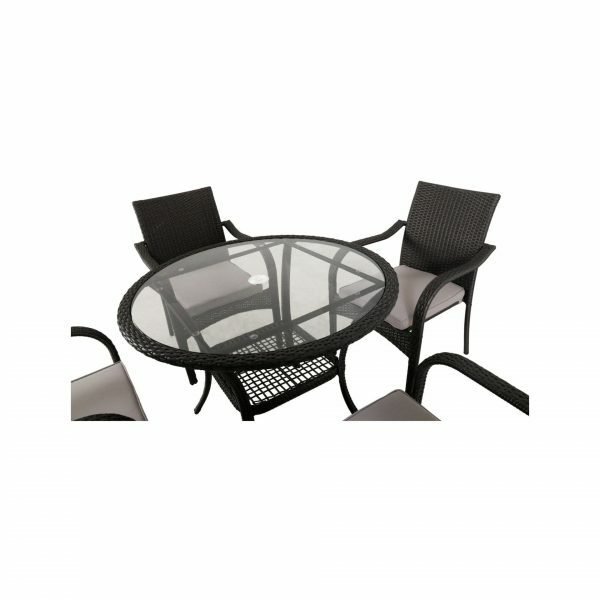 The San Pico dining table is made from steel and the size is 40″ x 40″ x 29″. The premium glass is used on the top of that. 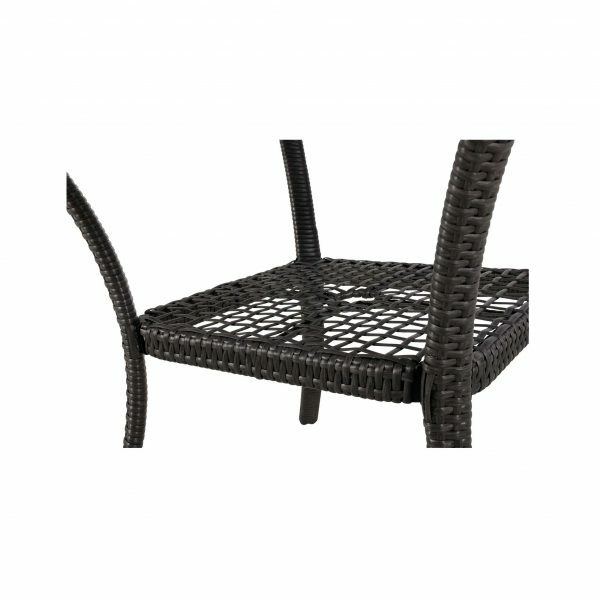 The chair is also made of high-quality steel and size is 24.4″ x 26.4″ x 35″. 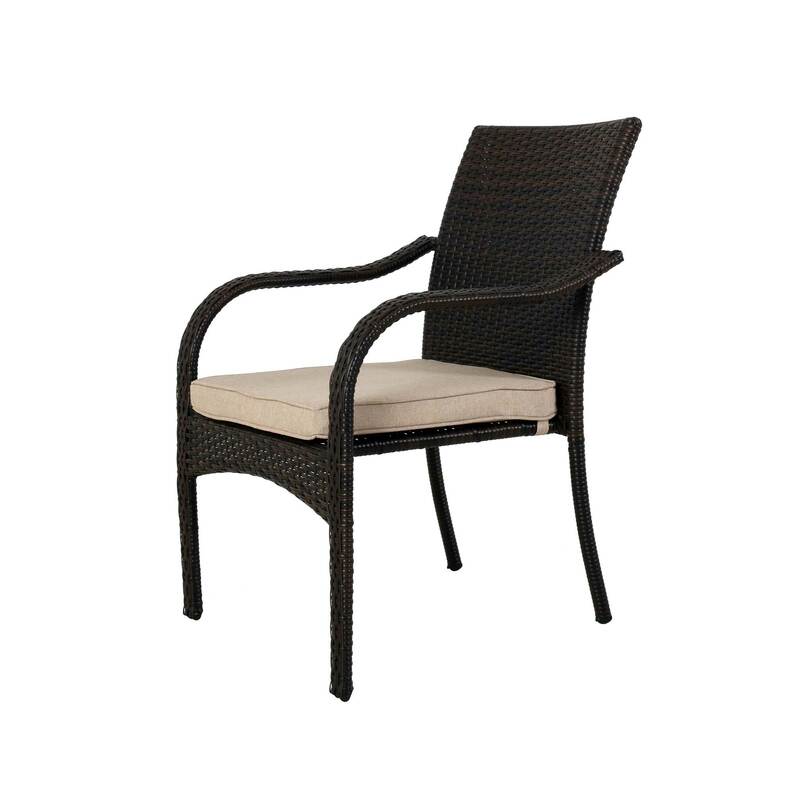 The chair also has comfortable seat made from high-quality cushion which is 5mm. 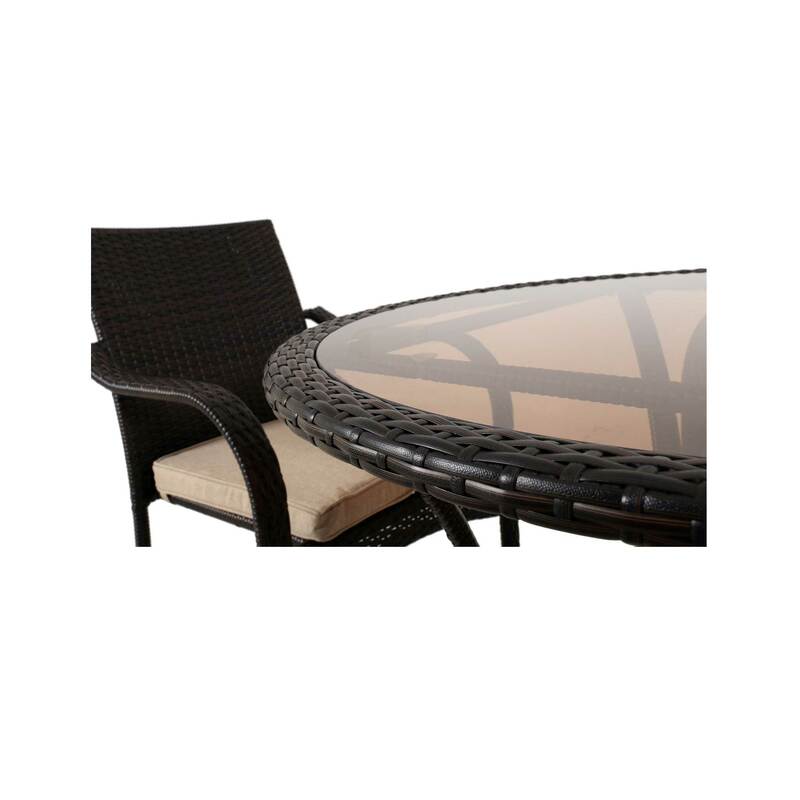 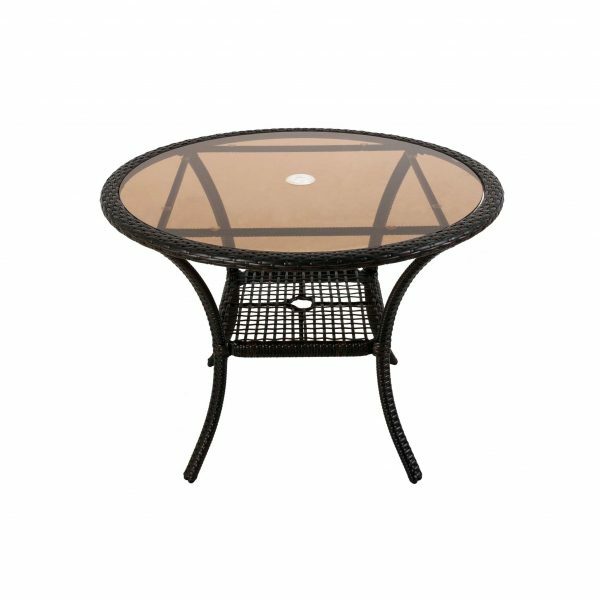 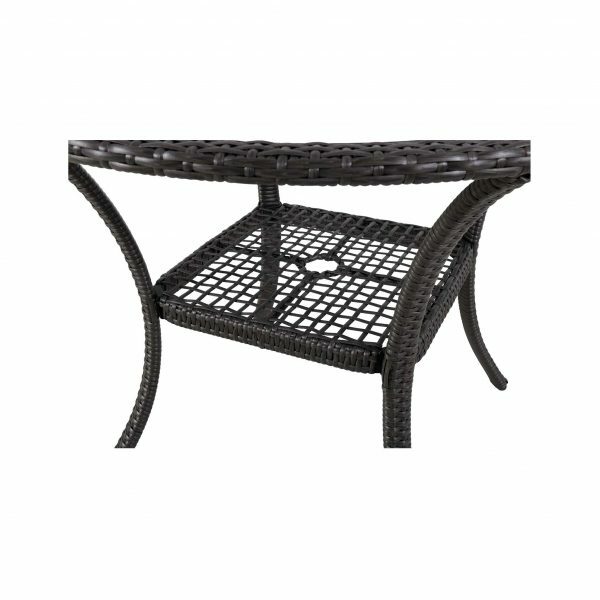 The design of outdoor dining set is modern and trendy and enhances the beauty of your lawn. 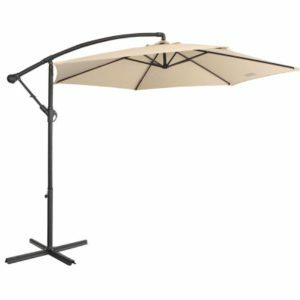 It also has a hole for an umbrella that you can use when there is sunlight. 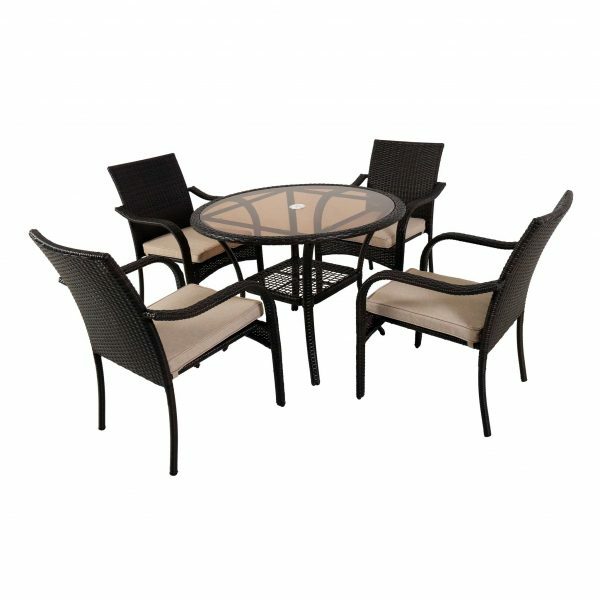 It provides you perfect spot for relaxing, eating. 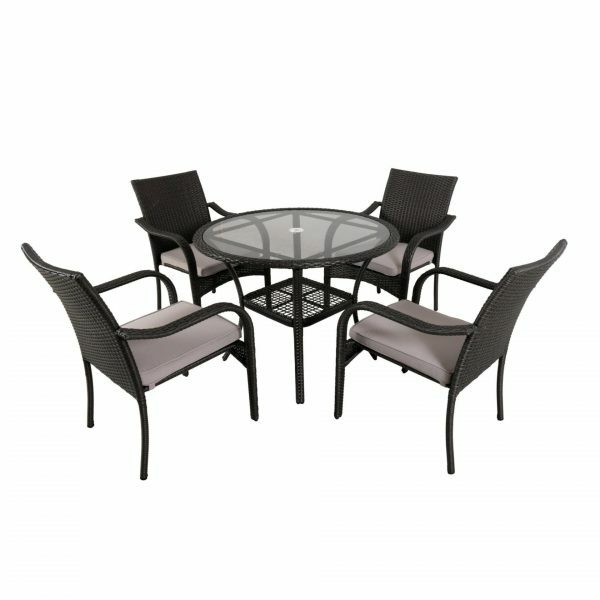 The dining set has 2 year Guarantee! if you face any issue you can contact us and we will resolve your issue instantly.